The first statement above would be rejected by some, but wouldn’t be controversial for many in our industry. But the next two messages from that source will start keyboards to click and tongues to wag in locations such as Omaha, Knoxville, California, Seattle, Arlington – and Washington, DC. Here is some of what we found. “Operation Mockingbird was an alleged large-scale program of the United States Central Intelligence Agency (CIA) that began in the early 1950s and attempted to manipulate news media for propaganda purposes. It funded student and cultural organizations and magazines as front organizations.,” according to Wikipedia. “A Project Mockingbird is mentioned in the CIA Family Jewels report, compiled in the mid-1970s. According to the declassified version of the report released in 2007, Project Mockingbird involved the wire-tapping of two American journalists for several months in the early 1960s,” says Wikipedia. Operation Mockingbird was once classified, “eyes only,” is 702 pages of dry-to-stunning, and can be accessed from the linked image, below. The declassified Family Jewels report is found at this link here. The CIA reference for Operation Mockingbird was dubbed the “Family Jewels” report. It goes without saying that family’s jewels are a prized item, so the name itself has meaning. The CIA report includes, and is supportive of, the information referenced by Wikipedia. The Washington Post is among the mainstream media sources that reference the Family Jewels document, so it will be difficult for other media to easily dismiss its credibility or the validity of the reference. As a relevant aside, the Washington Post is now owned by Jeff Bezos, the founder of Amazon. The billionaire Bezos has bounced between the #1 and #2 richest person in the world during the last year. Bezos is also one of the 7 top billionaires connected with significant donations to the Democratic Party in recent election cycles. That includes the 2018 midterms, as MHProNews alone reported in MHVille trade media, but a few others in the mainstream media have also reported. Among the other 6 top American billionaires include Bill Gates, and Warren Buffett. The top 10, per Forbes at that point in time, is found below. The way their political contributions lean is from MHProNews, from third-party sources such as Open Secrets. The Democrats are not the same party that they used to be. Neither are the Republicans. Democrats have tilted socialist, and many say so openly. The facts above are all support the thrust of prior MHProNews research. That includes our Daily Business News overview survey from Saturday, which is linked below. It ought to be as no less relevant to MHVille professionals as Smoking Gun 3. ICYMI, see the weekend overview, linked below. When you carefully read that report, you’ll see where our MHVille source with the “info wars” comments and tips was coming from. The challenges are troubling, tragic, but they are correctable. Operation Mockingbird, per some sources, was never discontinued. So, while it may seem like ancient history to some, it is interesting that our “info war” source pointed to this specific operation. There are other intersections between mainstream media, Silicon Valley, top Democratic backing billionaires, and government agencies. This is all interrelated with Warren Buffett, Bill Gates, Jeff Bezos, and affordable factory-built housing, but goes beyond it. Our industry and others are a subset to the challenges that “info wars” – significant media influence, or “weaponized news” – has. 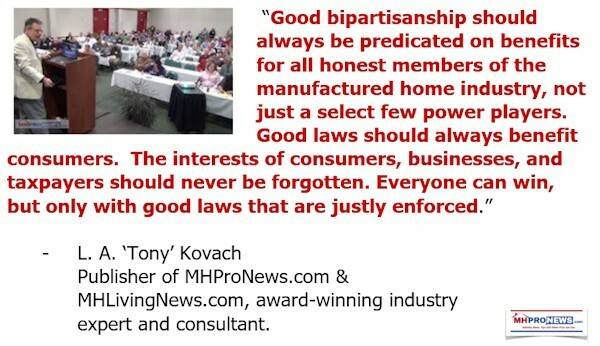 It is thus relevant to our manufactured housing professional audience. Bear in mind that sources in and working with the Trump Administration have told MHProNews that investigations of Berkshire, Clayton, and related issues to manufactured housing are still ongoing. Those federal and other sources to the Daily Business News on MHProNews have specifically mentioned Warren Buffett as being of interest in their investigations. The existence of those investigations have been noted by the Seattle Times too. ICYMI, or need a reminder, see the report linked below. There’s more related to this news tip that will follow in upcoming reports. But the above on Operation Mockingbird from a well-positioned insider source, and others – including from Buffett brands in manufactured housing – are threads MHProNews will continue to follow and periodically report on. Stay tuned, and make sure you see and digest the related reports, linked below the byline. That’s “News Through the lens of manufactured homes, and factory-built housing,” © and “Industry News, Tips, and Views Pros Can Use.” © ## (News, Commentary, and analysis.). Footnotes: 1) The comma was missing in the original message, and thus was edited in with the brackets [,] to reflect where it belongs and to make that sentence’s meaning clearer. 2) The MH in brackets was understood from the context of a string of related messages, but that bracketed [MH] wasn’t in the original. So, it was edited in to clarify the meaning.